Beautiful spaces enrich our enjoyment of the time we spend at home. To create uniquely, personal spaces, our designs are based on the client’s vision and our expressions of that vision. We work with homeowners, architects, and builders during pre-construction and/or remodeling for residential, custom home design, small commercial, and vacation homes in all manner of interior design services. Not all projects require major architectural changes and we offer unique concepts for existing spaces. As experts in kitchen design, we strive to create kitchens unique to each client and their requirements. 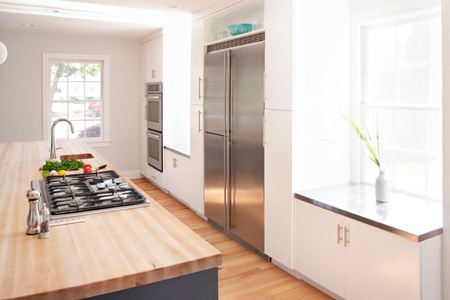 We offer custom cabinetry from Plain & Fancy Custom Cabinetry. These beautiful cabinets have been featured in multiple Coastal Living Showhouses and several House Beautiful Magazine’s “Kitchen of the Month.” In addition, we have access to local, custom craftsmen.